Trek to Mahuli is and will always be special to me. The main Sahyadri range lies on the eastern side of Shahapur while Mahuli fort is situated on a solitary hill on its western face. 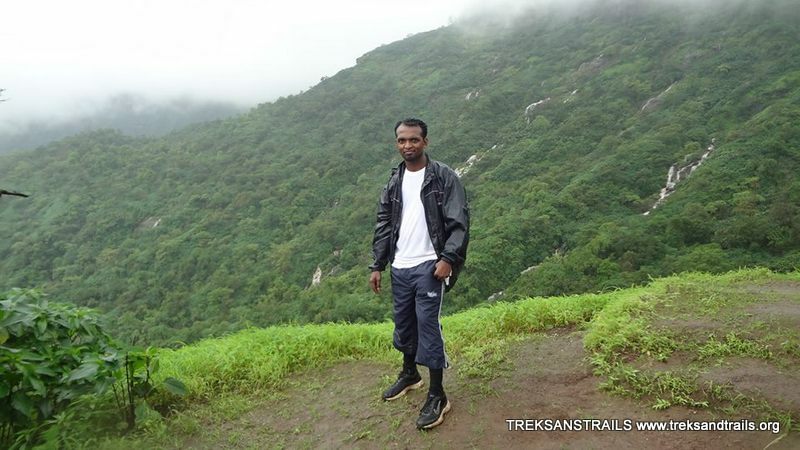 Today the memory of my first trek to Mahuli and the first trek of my life is still fresh far from forgotten. 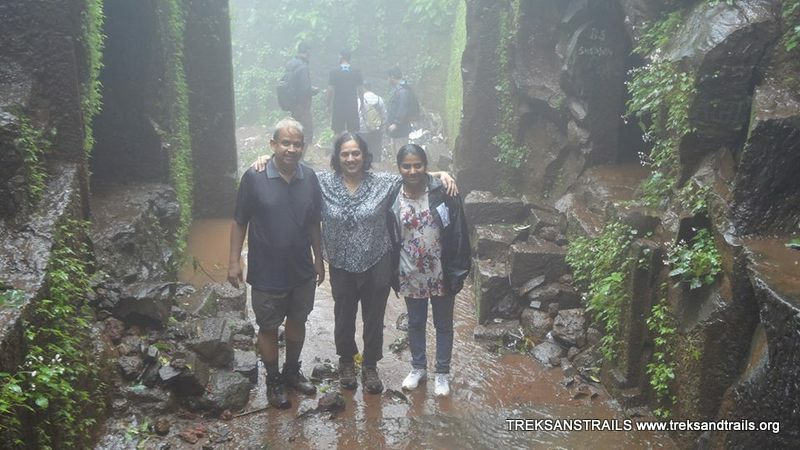 A few selected friends who shared a common passion trekking went to Mahuli fort in Shahapur region. The trek to Mahuli has always been close to my heart. Some say it’s my favourite trek. 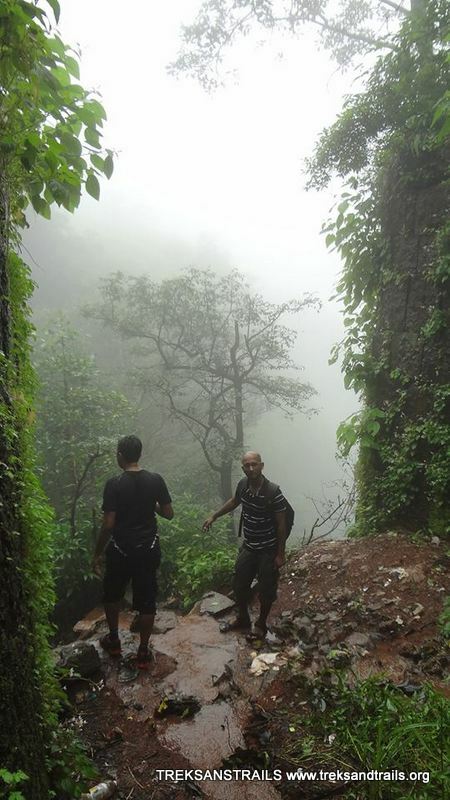 A good one day trek near Mumbai, Mahuli is at 2815 feet above sea level. 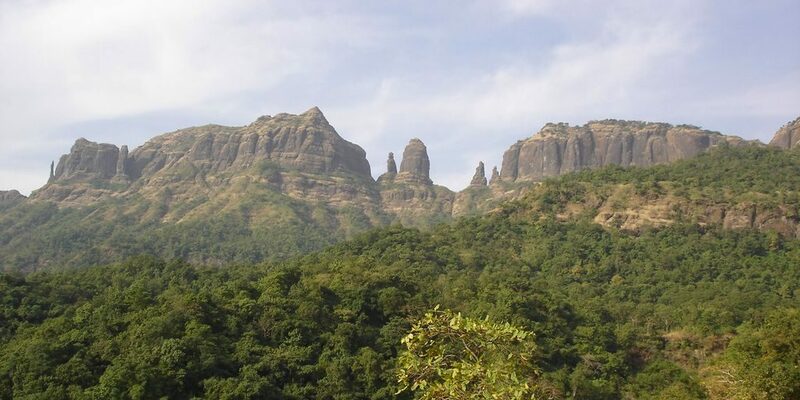 It is the highest point in Thane district. A popular trekking choice and a paradise for rock climbers because of its pinnacles. This mountain complex is actually a group of two or more hills with common Cols and pinnacles. The forest surrounding Mahuli has been declared as a sanctuary. Mahuli fort has been declared as a protected monument by the Archaeology Survey of India. One Day Trek too Mahuli can be done if the plan is to go till chota Mahuli. However, covering the entire hill including the pinnacles will require you spend a night in the caves. The caves can accommodate approx. 12 persons. 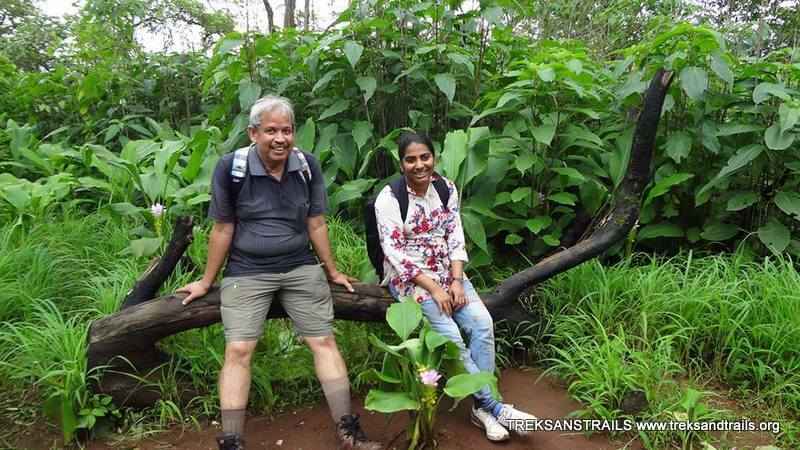 A trek on the plateau for 45 minutes from chota Mahuli. Then rock climbing a patch of 20 feet approx., only to climb another iron ladder. 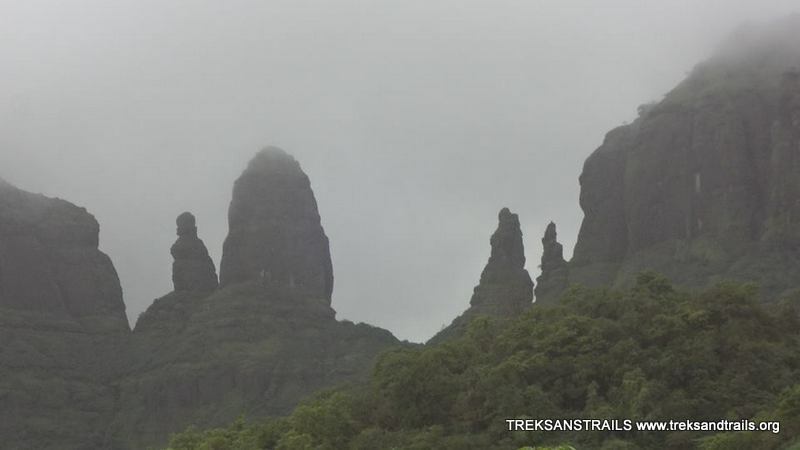 Then trek for 25 mins one way will get you to clear superb view of the 3 pinnacles. The creator of this fort are Mughals. One can conclude from a few architectural designs that are now in ruins. This fort came under rule Nizam shahi dynasty. Shivaji Maharaj took this fort from Mughals. In treaty of Purandar, Marathas lost the fort again. Shivaji Maharaj tried to conquer Mahuli, but failed. A thousand Marathas were killed. Most of them were from nearby villages. Shivaji Raje said to his dead Kadam sardar he is our gold. So Raje gave “Sonare” surname to this family. Get to Asangaon and take the local ST bus till the base village. Share an auto option is also available.Get off the approach road. A little beyond the Hanuman temple is an inroad that leads to Mahuli. A small board also indicates the trek starts here. A well marked route is available till the summit. Some place its gradual climb. This trek also has a few steep gradient climbs. 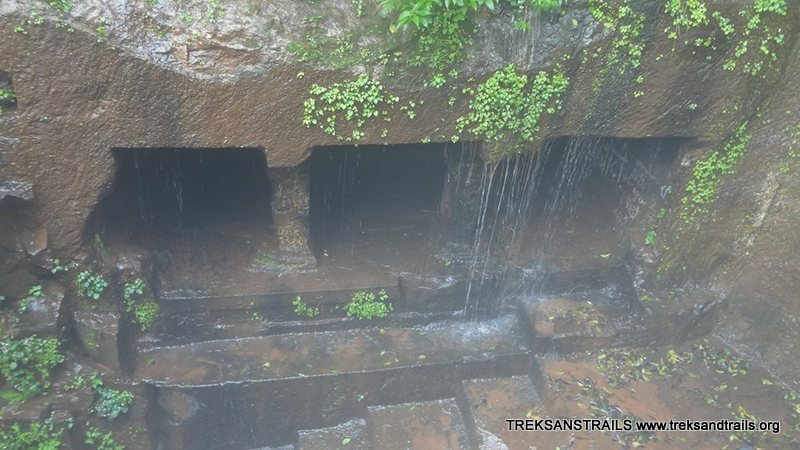 Around 90 minutes of trekking will get to a plateau which then bring you the iron ladder. An hour climb shall get you to chota Mahuli. Three caves of which the larger can be used as overnight stay. There is a stone arch historically known as the 'Kalyan Darwaja'. The dome of the arch is now broken. From chota Mahuli while walking for 10 mins u reach a wall called "Namazgir" - believed to be a place of worship for the Muslims. A beautiful view to Tansa lake. Kalyan Darwaja rock climbing technique will be required here, A tank here holds water throughout the year. Distance from Pune to Mahuli base Village 135 km approx. Driving time in 3 hours. Distance from Mumbai to Mahuli base 70 km approx. Driving time 1 hour 45 minutes approx. One can also drive till Mahuli Village from Nasik Highway landmark is Manas mandir when you reach a junction do not take right for Manas mandir keep driving straight till Mahuli village. Dense vegetation is found around and on the fort, wild animal spotting is common. In the past leopard spotting has resulted in restriction of trekking activity here. Wild flowers will offer you a grade welcome during monsoon. The above information should only be used as a reference. Please check with experts before embarking. Off late water fall rappelling has also been organised. Many fatal accidents have taken place at Waterfall near Mahuli Fort please avoid them during monsoon.